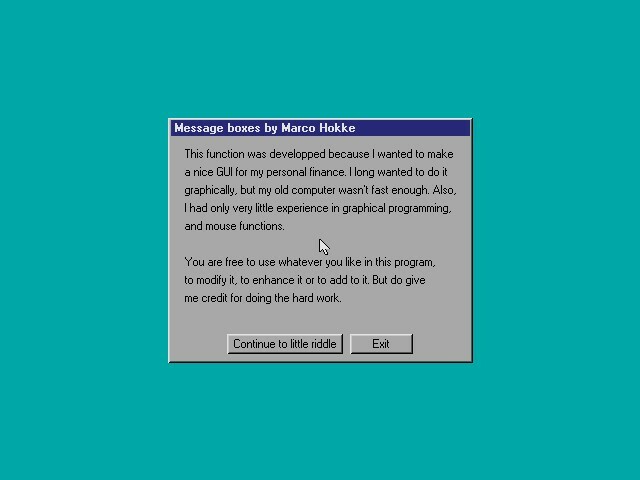 Message is a nice GUI with only window, label, and button controls. The windows can't be dragged, but the buttons are part of message boxes. The message boxes are easy to program, since the messages are parts of arrays as well as the buttons.